Sharad Pawar declined the offer to join the BJP-led National Democratic Alliance as he felt his ideology did not match theirs, Praful Patel said. 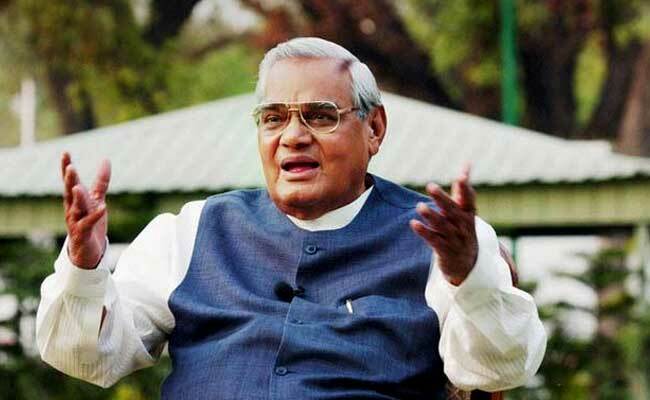 Mumbai: Atal Bihari Vajpayee had invited NCP chief Sharad Pawar to join the NDA in 1999 when he was the prime minister but the Maharashtra strongman "politely" declined the offer, former Union minister and party leader Praful Patel said today. Mr Pawar declined the offer to join the BJP-led National Democratic Alliance as he felt his ideology did not match theirs, Mr Patel said. "In 1999, Vajpayee invited Mr Pawar to join the NDA but he politely declined the offer," Patel said, speaking at the state NCP's two-day brainstorming session which began at a luxury resort at Karjat in adjoining Raigad district today. Mr Patel said many leaders like Farooq Abdullah, Mamata Banerjee, M Karunanidhi, Nitish Kumar, Naveen Patnaik and Ramvilas Paswan had joined the NDA, and most of them are now not part of the ruling alliance. "Many were ready to join (the Vajpayee government) but Mr Pawar rejected this invitation. Mr Pawar took the decision not to join them (NDA), as he felt his ideology won't match with theirs," Mr Patel said. "Had we joined (the alliance), nobody would have then objected (and said) that we had shaken hands with people who are not secular," Mr Patel said. If the 76-year-old veteran politician had accepted the offer, he would have got the number two position in the Vajpayee government along with the then home minister L K Advani, the former civil aviation minister said. Asking the party workers to prepare for the next elections, Mr Patel said the year 2019 will be the year of the NCP. "It will be the year of our Pawar saheb." "Media should take note that in tomorrow's politics, (based on) whatever the political situation prevails now, the dream which we all have in our hearts for Pawar saheb (of his becoming PM) is not impossible. That thing (Pawar becoming PM) can happen," Mr Patel said. He asked party workers not to believe in "rumours" of the NCP replacing the Shiv Sena in the BJP-led government in Maharashtra. "Who has declared that the NCP will fill the vacuum after the Shiv Sena pulls out of the government?" he asked. Mr Pawar, he said, always takes a strong stand against the BJP government. On reports of bonhomie between Prime Minister Narendra Modi and Mr Pawar, the NCP leader said, "It's PM Modi who keeps saying that it was Mr Pawar who guided him in politics. Has Mr Pawar praised PM Modi? Has he (Mr Pawar) given him (PM Modi) a certificate?" One must remember the kind of statements PM Modi made against the NCP during the campaign for the 2014 Lok Sabha and Maharashtra Assembly polls, Mr Patel said.